Are you studying for the GED test and feeling overwhelmed? We totally get it! Studying can be hard! But we are determined to help you through this crazy time. Below are our favorite tips for an effective study session. We hope they help! Perhaps one of the simpler ways to study is to watch educational videos. We recommend that you watch each educational video more than once. The first time you watch the video, just watch! Don’t do anything else. Just watch and try to retain as much information as you can. The second time you watch the video, go ahead and take some notes. Just focus on writing down main phrases and words. Then, the third time you watch it, fill in important information about those phrases and words that you had recorded. 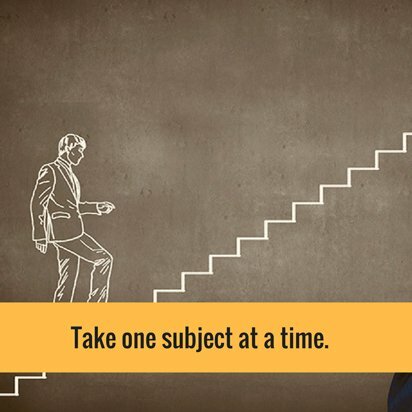 By taking your time to work on these videos, you allow your brain the opportunity to process new information better. Looking for videos to study from? Be sure to check our GED Online Classes today! It’s important that the night before you take the GED test that you allow your mind the opportunity to rest. Remind yourself that you have been studying for weeks! You know what you are doing! Instead of cramming into the late hours, we recommend that eat a healthful meal and go to bed early. By doing this, you will wake refreshed and calm, ready to pass the GED test!! It’s no secret around here that we love flashcards! As you study, compile an ongoing list of words that you don’t quite understand. Then, make flashcards with their definitions. Flashcards are great because they are small enough to take anywhere with you. You can pull them out on the bus or when you are on break at work. By learning the definitions of basic words and phrases you begin to master the basics! 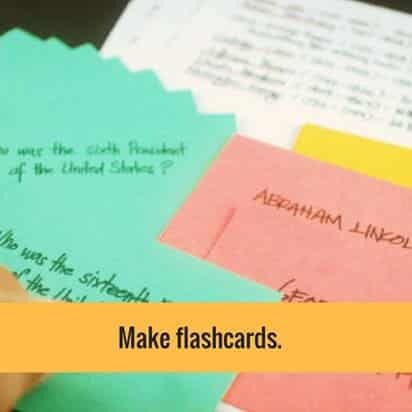 Make some flashcards today and let us know your favorite way to use them. The easiest way to study is by focusing on one subject at a time. We recommend that before you even start studying, you write your goal for that study session. Then, only focus on studying for this ONE topic. By limiting a number of topics you study for, you allow yourself the opportunity to master it before moving on to a new topic. If you need help organizing your goals and progress, be sure that you print our free study guide schedule HERE. An accountability partner is someone who will encourage you to study on a regular basis. Although your accountability partner doesn’t necessarily have to study with you, they should be someone who can constantly monitor your progress. Ask your accountability to call you on days you plan to schedule. Have them remind you to study and to follow through, even when it gets tough. Be sure that they are positive influences on your life and do not hinder your study schedule by creating distractions. 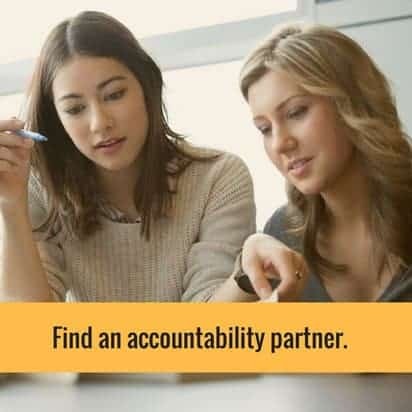 If you can’t find an accountability partner, you can always feel free to join our Facebook Study Group, where lots of other students have been rallying to pass the GED test, too! 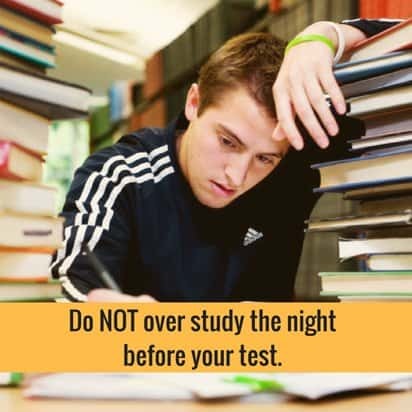 What are your favorite studying tips? We hope that you’ll share them in the comments below.